This years Nettlefest will be happening on March 17th at 5:30pm at the South Community Hall. 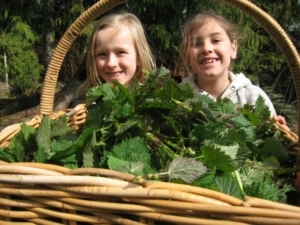 The first: The Best Nettle Dish: Bring your favourite nettle dish. No restrictions on type. A panel of judges will choose their favourite. The second competition: The Best Nettle Product: Serious or funny – your choice! All entrants will get a chance to “pitch” their product. Winners determined by the audience applause! Come sing your nettle song or read your spring poem ! Googling ‘eating local’ offers up 2 million responses today whereas 25 years ago…. wait a minute, there was no google then ! My point is is that we have, en masse, embraced the benefits of eating locally as our awareness around almost everything we do expands. This article is devoted to better laying out our options for eating close to home. At the beginning of the spectrum of possible geographic food sources is the wild food we forage from our own ‘yard’: nettles, chickweed, pepper grass (all available this lovely January day). 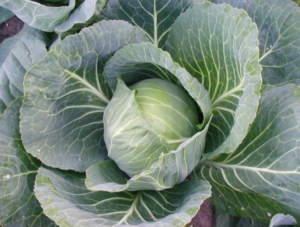 Next are the treats we alter habitat to grow in our gardens from asparagus to zucchini and even in January we can have kale, leeks, carrots and a wide assortment of greens. Beside that are the fish, deer, seaweed, blackberries and mushrooms that we might travel a bit on island to harvest. 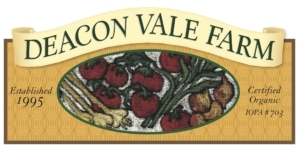 Following this there is the Saturday Market where we can take advantage of the land and skills that our Galiano farmers bring together to share produce with the community. We might think that LOCAL stops there but the spectrum is long and when we begin to look over the waters we see the other neighbouring lands and very importantly Vancouver Island. We are omnivores in this house and though we eat much less meat and fish than my parents did we relish every chicken or venison roast that comes our way. I am often acquiring my meat from the farms that are practicing animal husbandry off our shores. Our neighbouring islands boast countless small to medium-sized farms where dairy, meat and grand displays of fruit and vegetables are for sale and though the price may be slightly higher we all know that the cost to workers, the land and the environment is much lower. Having these realities as priorities in our lives will help shape the global food marketplace. Every time we buy something we are voting for it. Widening the circle of our ‘local’ means not expecting to grow or produce everything here on Galiano, at least not right away, it can be that we expand our range to include our ‘neighbours’ some of whom never lost their farming practices and communities and those that did have been steadily rebuilding like us. We are lucky to have excellent stores on Galiano that pride themselves on sourcing regional food. There is also a comprehensive guide: FARMFRESH put out annually that point us to 70 different farms right here in this region. Check out their 25th edition at islandfarmfresh.com or pick up a paper copy. We can be hard on ourselves and each other for not doing what we know we should do. Ultimately this attitude lacks compassion for ourselves and others. So in transitioning to healthier choices for ourselves and the rest of Earth’s creatures, let’s accept that we are each moving at the pace possible at this time. Of course it feels like the fire is underfoot too so we want to stay awake and keep our good intentions in front of us and in focus. We can help each other do that with joy and love. Come share your ideas, skills and enthusiasm for food at any or all Food Program projects and events. Together we grow. Due to bad weather, the meeting will be postponed one week. We will now be meeting on the 26th. 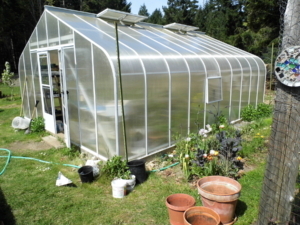 Believe it or not we will have our first greenhouse gathering this month to begin planning what to grow and to order seeds. The fact that we can begin the process so early in the new year is a glorious aspect of our west coast climate. We will meet Thurs. Jan 26 at 1 pm at the Activity Centre meeting room to plan this year’s permanent plantings while the Starts Group, where people come to simply use the bright warm greenhouse facility to seed starts for their home gardens, will meet in February; date to be announced. 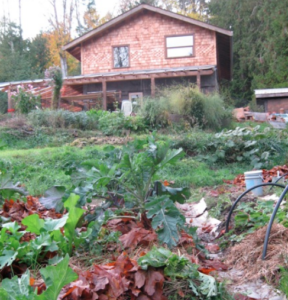 If you would like to be participate in the Galiano Community Food Program’s Community Greenhouse this year – be sure to come to the meeting. 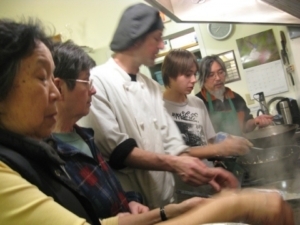 Thai Inspired Community Kitchen led by Orion Finnie, chef at La Boheme Restaurant. We’ll be making Thai Pumpkin Soup, Phad Thai ,Thailand’s famous rice noodle dish and Honey Bananas for desert. Please bring containers to take home food, and a $15 to $20 contribution. Please RSVP – we are limited to ten people. Update: This kitchen is now full, but I will be keeping a waiting list, in case of drop outs. After taking the 10 month course with Linda Gilkeson last year I can finally point to some successes in having a mature winter garden. This growing space has only been in use for 3 years so it isn’t a real show piece but if anyone is interested in seeing the potential c’mon to 2330 Georgeson Bay Rd for a garden tour and tea Thursday, February 2nd at 1 pm. Please RSVP if you can come. Come join your community, and cook, eat and share food together. We’re going to make Traditional Borscht, Cabbage Rolls, and Two different kinds of Slaw. Please bring containers to take home (2L) soup and slaw, and a $15 to $20 contribution. RSVP to Alison at galianofoodprograms@gmail.com Space is limited to 10 people.